After seeing the Air and Space Museum, it was getting late in the afternoon, but rather than eat at the hotel, we had other ideas. 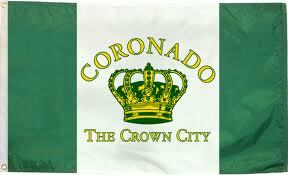 Why not see Coronado Island? Eat there. It has its own flag. 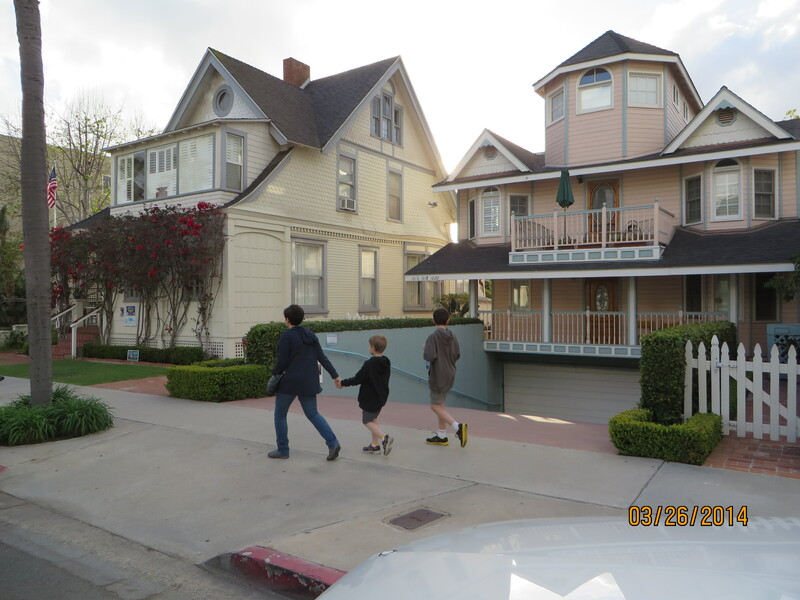 But as we drove there, the boys started going nuts in the car. shouting, fighting, wiping boogers on the seat. We told the boys not to talk while we navigate. They start to sing and giggle. Then we told them to stop singing and giggling and be quiet. They started bouncing up and down. An epic headache was building inside my skull.The Prettiest-girl-in-the-world was about to lose her famous zen-like calm. Big time. My left eye was twitching. I was having murderous thoughts. So, yeah, pulling over was kinda necessary. And we needed to find the perfect spot. Or blood will be shed. Bodies buried. Secrets kept. So onto Coronado Island we went. In search of a fish and chips place. It just felt like a fish and chips kind of day. 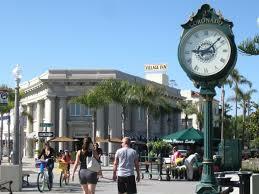 The weather had turned nice, our spy had recommended we visit Coronado, and we needed to eat, right? Apparently they don’t believe in fish and chips. On this island (which is, in fact, not an island, but whatever,) there are all sorts of super expensive places. Diamond stores. Fancy Italian restaurants with Michelin starred chefs. A world famous hotel. Lots of beachie beachness. But not a fish and chip shop in sight. Or on google. We drove by lovely neighbourhoods that reminded me of Oak Bay in Victoria. Or Kerrisdale in Vancouver. The homes were all well maintained, many heritage homes with turrets or wraparound porches, some very colorful, some with brilliantly colorful flowerbeds. There was even a beautiful, small, stone church that couldn’t have held more than 10 people inside. There was a world famous resort. 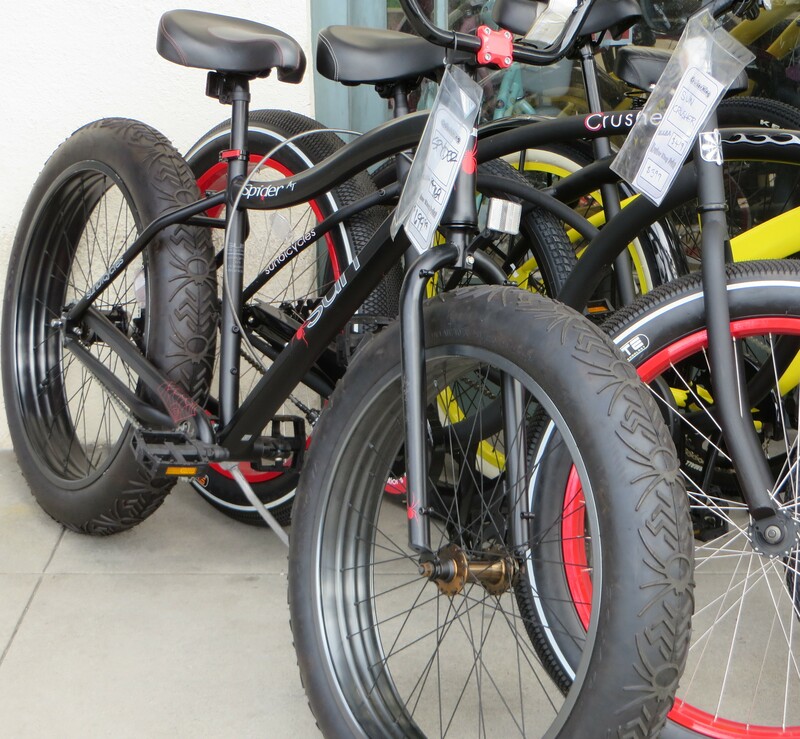 There were the coolest bikes I’ve ever seen parked on the sidewalk (check out the spider tires!) There were lots of green spaces, which we used to call parks, filled with families having fun, and of course, beaches and a HUGE naval station. But no fish and chips place. However, there were plenty of other options. We parked and walked to Alexander’s. Picture this. A hole in the wall pizza shop. Tattooed guys behind the counter. Thrash metal playing on the speakers. A philly – NYR game on the TV. A window full of awards. The perfect place to take a family, right? In a tough neighbourhood, we would have moved on, but hey, this was Coronado where I think the pillars holding up the bank’s roof were made of solid gold. And how did we find it? I asked a local. After we bought some fancy-smancy sunglasses for the youngest, I asked the owner of the shop. He gave us the suggestion and directions. It was a small walk, but the weather was spectacular and the boys needed to burn some energy off. So we ordered and sat down at a well-worn table and tried the pizza. 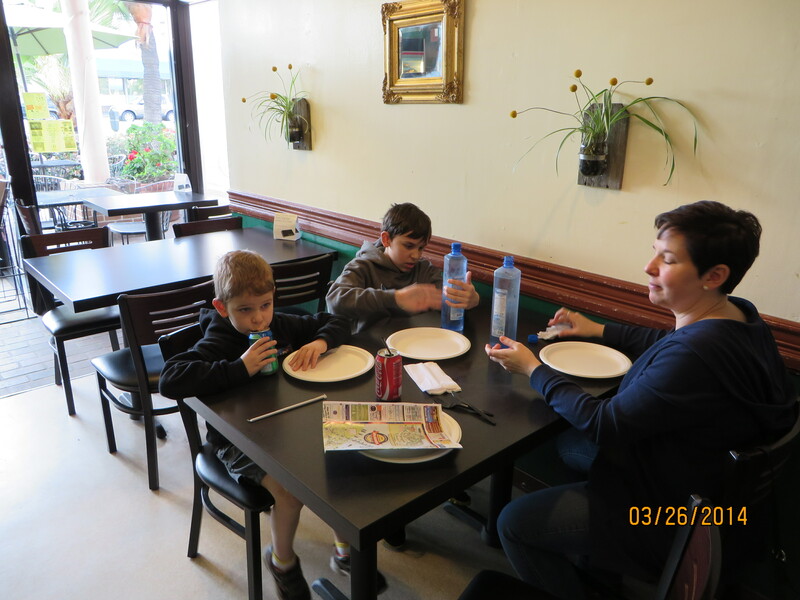 The adults ate the Mystic Pizza, the boys, a cheese pizza. Amazing! Lots of toppings, full of flavour, and the best crust I’ve had in a long time. The little shop had won awards for their pizza, same as the restaurant the first night had done. It was a local favourite. It smelled of warm dough. It had cheap tables and cheaper chairs. The knives and forks were plastic and the plates were paper. But no one came for the décor. They came for the food. And it saved us all. The day ended on a high. 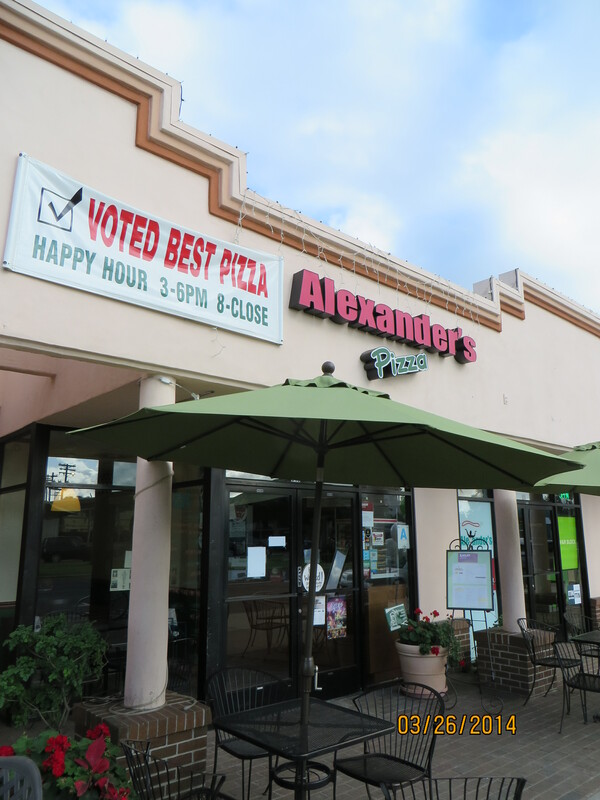 This entry was posted in Blogging, Parenting, San Diego, Travel, Traveling with Kids, writing and tagged alexander's pizza, coronado, coronado island, humor, prettiest girl in the world, Traveling with children. Bookmark the permalink.